To promote the collective interests on all issues concerning its members and / or the Tea Industry. To assist and facilitate growth and development of the tea industry. To work for furtherance and promotion of tea consumption in India and abroad. To organize and mount exporters' delegations to overseas countries and assist inbound delegations from tea importing countries towards promoting Indian tea exports. To collect, analyze, interpret and circulate statistics / information relating to the tea industry. To assist in the advancement of information and knowledge on tea through Media Campaigns, Conventions, Seminars, Conferences, Exhibitions, Trade Fairs, Road Shows, etc. To carry out and undertake Research & Development works relating to tea. To represent to Governments (Central & State), Tea Board, local authorities, public bodies, etc regarding the collective interests of members and the tea industry in general. Collaborate with Chambers of Commerce and other trade bodies in India and abroad towards promoting the interests of the tea industry. To undertake projects for the benefit of tea workers and the public at large by way of Corporate Social Responsibility (CSR) activities. 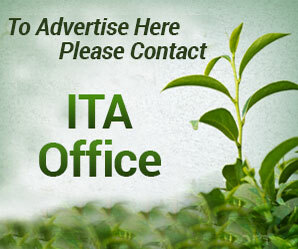 To publish newsletters, periodicals, leaflets, books in furtherance of documentation of events and dissemination of information pertaining to the activities of the Association and the tea industry.